Are you tired of sniffling, sneezing, and itchy eyes? Essential oils can give you safe, natural relief from seasonal allergies without any of the nasty side effects from conventional medicines. 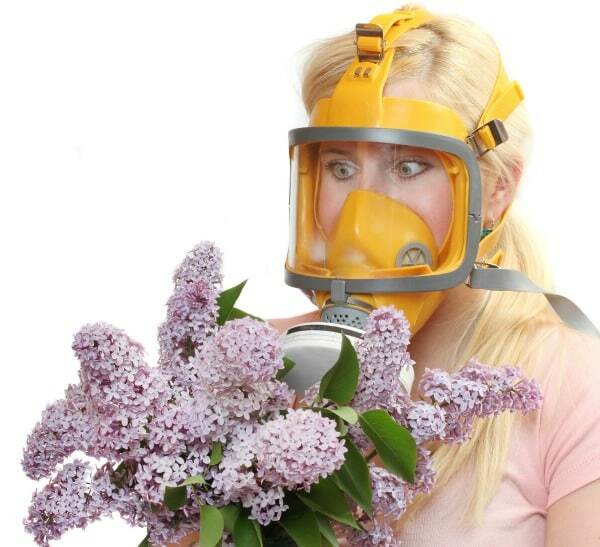 Do you feel like walking around with a gas mask to avoid the gunk in the air this time of year? Between pollen, grass, weeds, and all the other junk that causes seasonal allergies, lots of people are just plain miserable right now. It’s easy to spot those who are suffering because they’ll spontaneously burst into sneezes and have itchy, watery eyes from an allergy attack. That can really ruin your day (not to mention your makeup). How do allergy attacks happen? 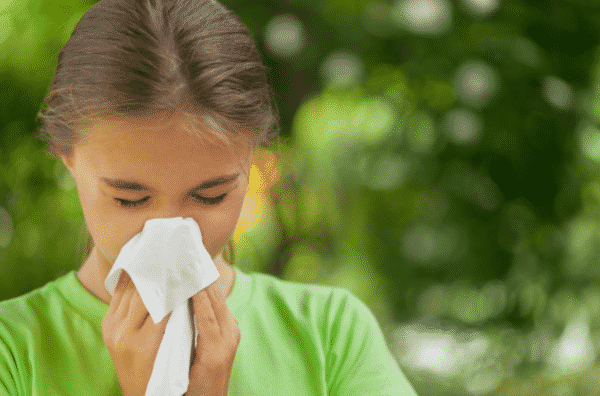 If your body identifies pollen, pet dander, mold, or other allergens as a threat, histamines are released so the white blood cells can take down the invader. The problem is that those histamines cause an immediate inflammatory response. 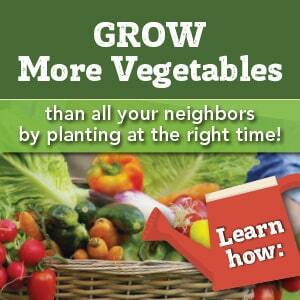 Your eyes itch, sinuses drain, nose runs…you know how it goes. Synthetic medicines for allergies are called antihistamines, because they prevent the body’s response to the histamine release. They can cause drowsiness, dry mouth, and stomach problems, and they’re most effective when taken before symptoms hit. So how do you keep the histamine reaction away, without wearing a gas mask or medicating yourself all the time and feeling miserable? 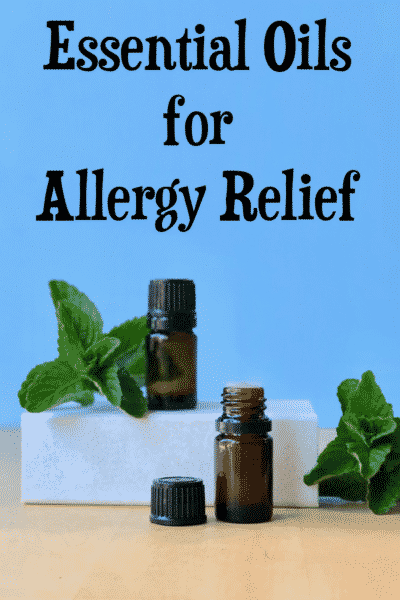 All you need to stop an allergy attack are these three natural, pure essential oils. When used together, they support healthy respiratory function and relief from seasonal discomfort. It’s easy to use these oils to stop allergies in their tracks. 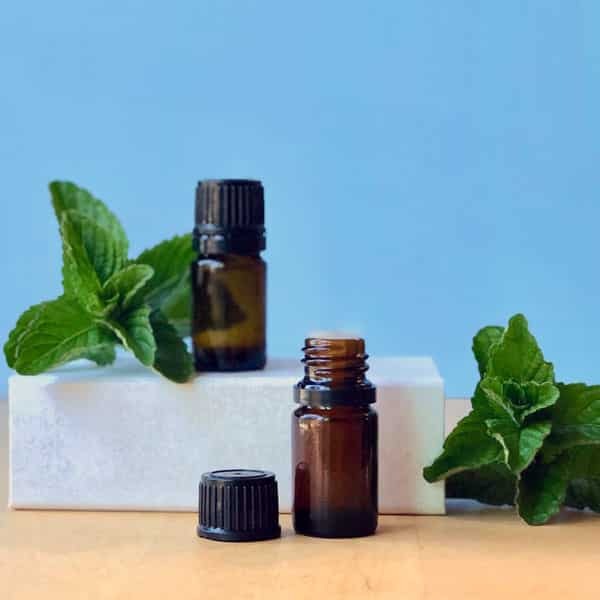 Because essential oils are assimilated into the body quickly, you can use these oils every few hours (see usage guidelines here). Aromatically: mix one drop of each oil in your hand. Rub hands together, cup over your nose and mouth, and inhale. You can also use one of these cool nasal inhaler gizmos (useful for kids who can’t have oils at school). Topically: combine one drop of each in your hand. Rub on the back of the neck and on temples, avoiding eye area. Internally: take 1-2 drops each in 1/4 cup of water, or in a spoonful of local honey. 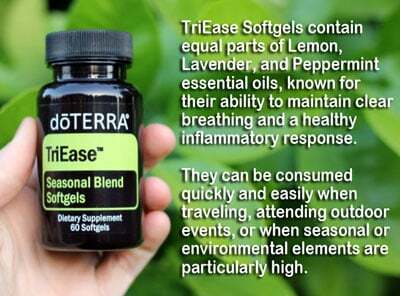 Or use TriEase softgels, which have all 3 oils in a small pill. Yes, the kids can use this oil combo too! Rub along their back or on the soles of their feet in the morning and before bed. If the whole family has problems with seasonal discomfort, diffuse Lemon, Lavender, and Peppermint to give everyone relief. 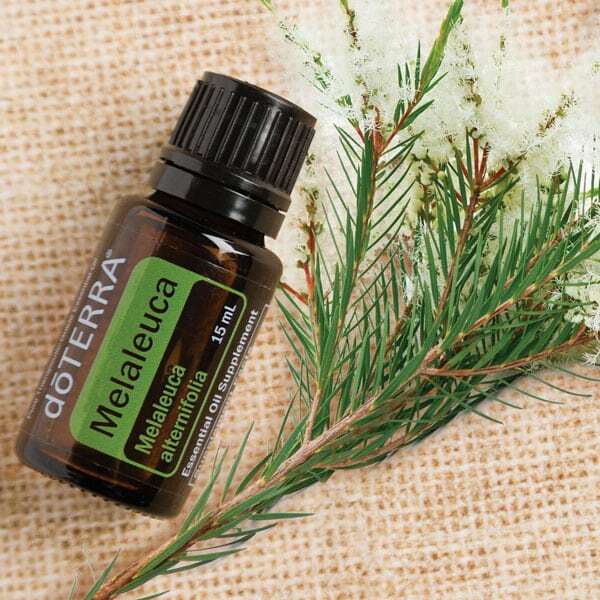 If these three oils aren’t quite doing the job, add 1 drop of Melaleuca (Tea Tree) to your combo. Melaleuca turns your regular strength allergy relief into Extra Strength! 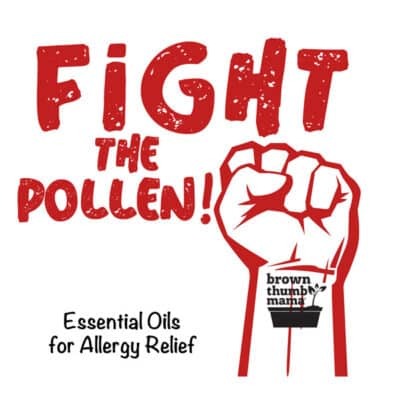 Get all the oils you need for allergy relief right here. DH suffers horrible from seasonal allergies. I tried to get him to test the EO LLP & he laughed it off as nonsense. When I got tired of hearing him sneeze; I walked up to him and dosed him behind the ears. Instant relief, he was stunned. Now he keeps the bottle with him wherever he goes. I place L L P oils in a roller bottle with coconut oil. I already had to refill the bottle. That’s awesome! I definitely need to be more consistent about using essential oils for my seasonal allergies. I’ve tried just about every other natural remedy and essential oils definitely work better than most, despite the severity of my hay fever! Thanks for the post! I love EO’s and use them all the time now, but what I found works even better on seasonal allergies is bee pollen. Just a few granules in my coffee for a couple of weeks and I have completely gotten rid of my allergies!